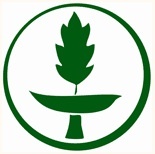 The Hopedale Unitarian Universalist Community has been building a reputation for thoughtful leadership in the greening of Oxford and Southwestern Ohio. We have done this through various aspects of our Green Sanctuary programs: Sunday morning services on earth stewardship, our community garden, the 2nd Wednesday Green Screen film series, and our involvement with other faith traditions in advancing the UU principle of Earth Care. These relationships have been taken up in one particular form, the Interfaith Climate Change Work Group (ICCWG). In it representatives from five other Oxford denominations have worked with five of us from HUUC to create and distribute educational materials promoting fossil fuel conservation and use of alternative energies. One booklet we have written describes the very large number of Oxford initiatives that illustrate the new energy era we live in. Publication of these materials cost modest sums, which individuals, the Social Justice Committees of other churches, and groups such as Miami Valley Audubon have supported. Hopedale should try to support these publications too. We expect to need up to $700 for what we call the Earth Care Education Fund through the upcoming summer and fall. Please help, if you can, by supporting the Fourth Sunday Special Collection on April 22. Hopedale member Doris Bergen mentioned that her husband, Joel Fink, has set up SHARE (Service Hours and Resources Exchange), a free group service exchange/timebank that helps people both give and receive services. If you are interested in exploring whether you might like to join that group, you can go to their Web site: www.sharetimebank.org to find out more about the process of sharing your skills and finding people who have skills you want to access. Or you can contact Joel Fink at info@sharetimebank.org if you have specific questions that you would like answered. There are many of these timebanks in the U.S. and this one is specifically for Butler County.